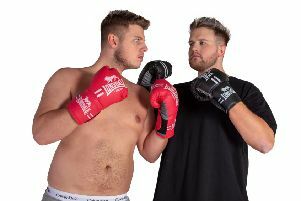 One of wrestling’s biggest tag teams is set to make its Sussex debut in next week’s charity grappling spectacular in Peacehaven. The Beards, who bill themselves as over 40st of British beef, are among the headliners on the show at the Meridian Centre on February 16. Individually, they are the Man Mountain of the Ring, mighty Karl Atlas, and ‘Maddog’ Quinn. The Saturday night spectacular, arguably the biggest ever staged in Peacehaven, will also feature a PWF championship contest and an appearance by one of the most exciting stars in the grappling game, international high flyer The Lion Kid. Tickets for the show, in aid of the mayor’s charities and sponsored by Aquarius Solutions, are available from the Information Office at the Meridian Centre, priced £10 for adults and £9 for concessions. A family ticket for two adults and two children costs £36. Call for more information on 01273 585493.